Chihiro Senkawa (千川ちひろ, Senkawa Chihiro) is the Producer's secretary who serves as the tutorial guide and information woman in THE iDOLM@STER: Cinderella Girls game. She is voiced by Rina Satou (佐藤利奈 Satou Rina). 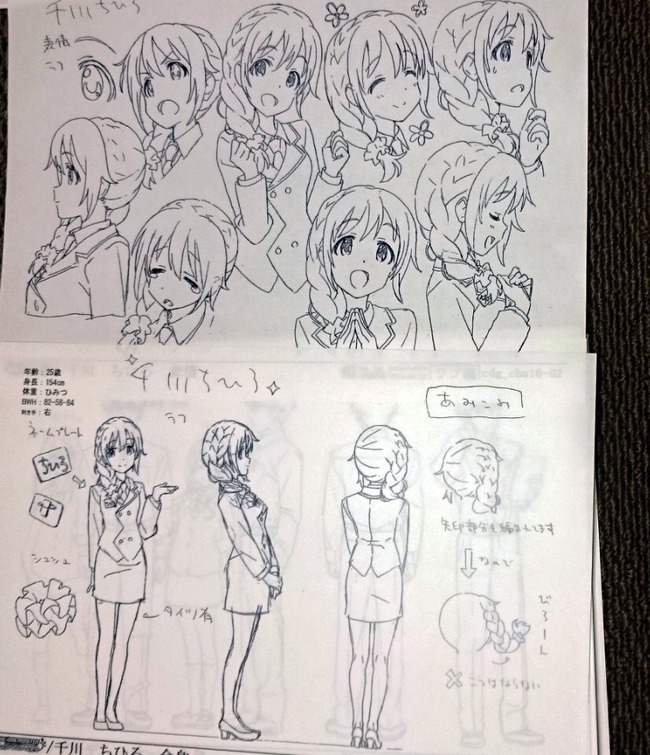 Her age is revealed in her concept art for the THE iDOLM@STER: Cinderella Girls Anime. There are some minor differences between the game version and the anime version of Chihiro. Her name badge is the most noticable one; as in the game it read 'Chihiro' (ちひろ), while in the anime it read 'Senkawa' (千川). Among all the secretaries in the entire franchise, Chihiro is the shortest. Japanese fandom portrays Chihiro's helpful nature as a facade, hiding a greed for the yen of every single Producer. It's common to see her called "Chihiro-sama", and an injoke is whether or not she's a devil or an angel. An unobtainable card for the April Fools event. This page was last modified on 20 February 2019, at 21:20.